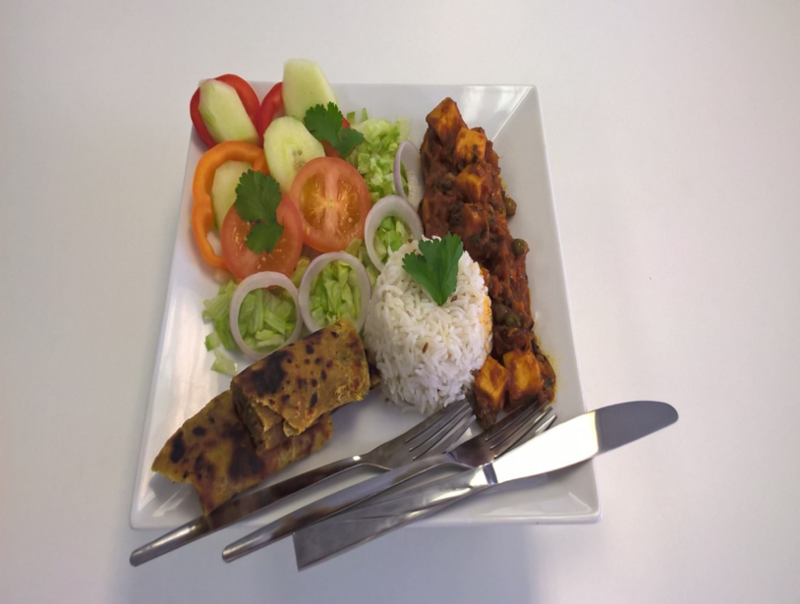 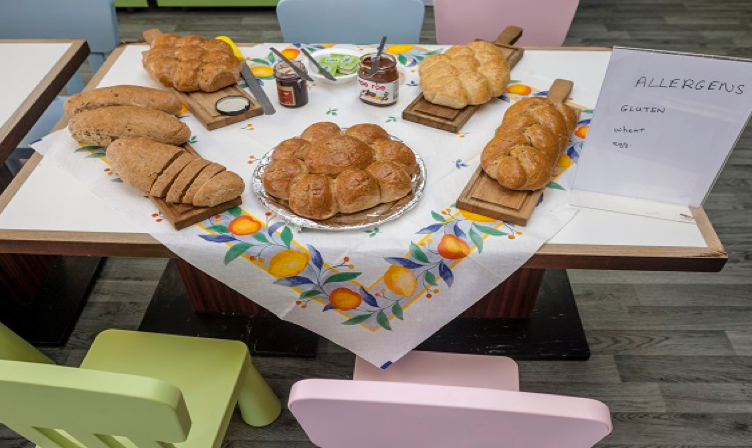 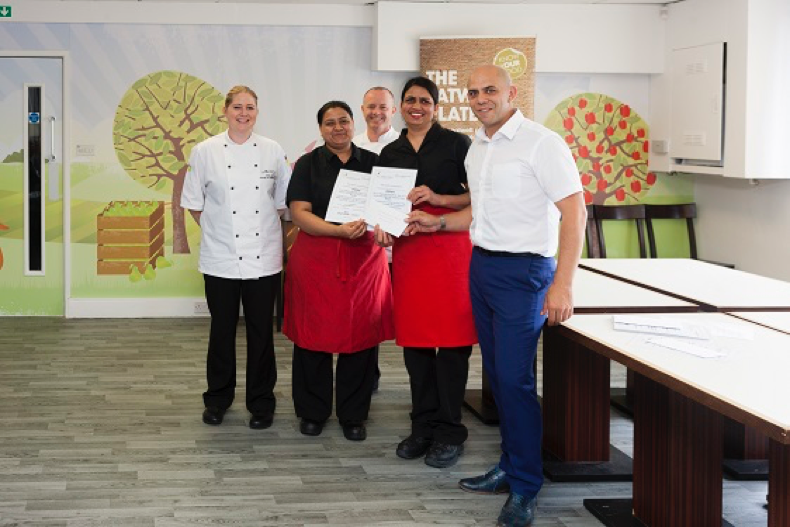 Our Chartwells colleagues in Hounslow have held an internal competition to find their best talent. 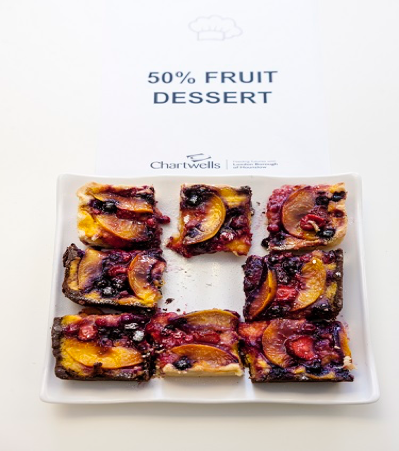 Above and Below: Pushpa Chohan from the Rosary Catholic Primary School with her winning 50% Fruit Dessert of a Summer Fruit Tart. 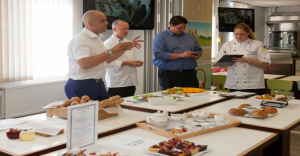 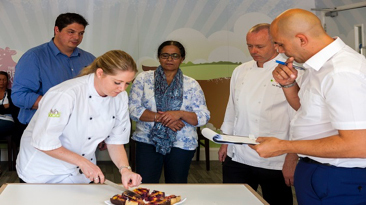 Above: The judges (left to right): Tim Cay – Regional Manager for Hounslow, Tim Wright – Food Offer and Menu Development Chef, Jonathan David – Head of Operation Hounslow, Leanne Turk – Training and Development Chef for Hounslow. Above and Top: Ermina Veshalli from Lionel Road Primary School with her final display of freshly made bread and receiving her ‘chef of the year’ certificate and cheques. 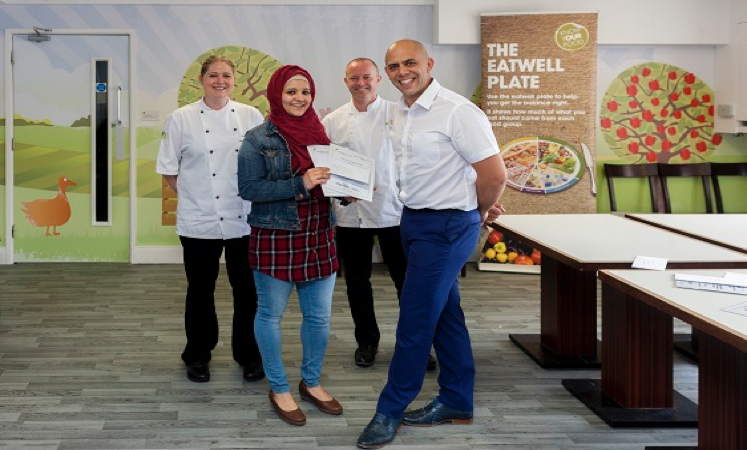 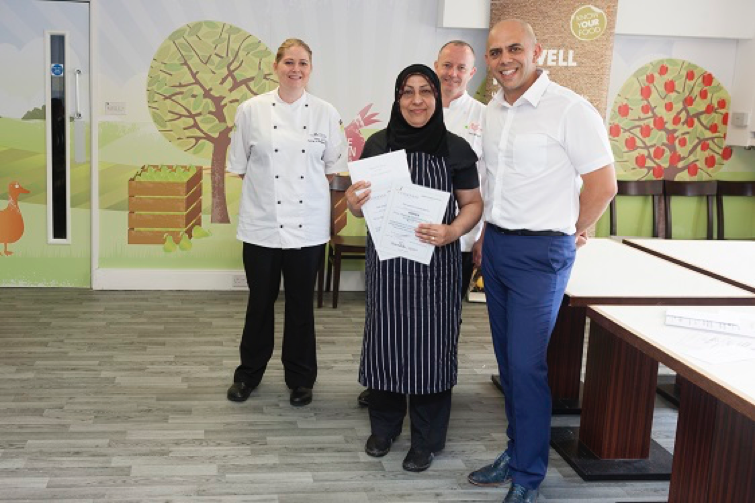 Below: Fatima Hoor from Heston Primary School receiving her ‘chef of the year’ certificate and cheques for winning the ‘Nutritionally Balanced Main Course’ category. Above: The team from Alexandra Primary School with their ‘chef of the year’ certificate for winning the ‘Nutritionally Balanced Main Course Vegetarian’ category.